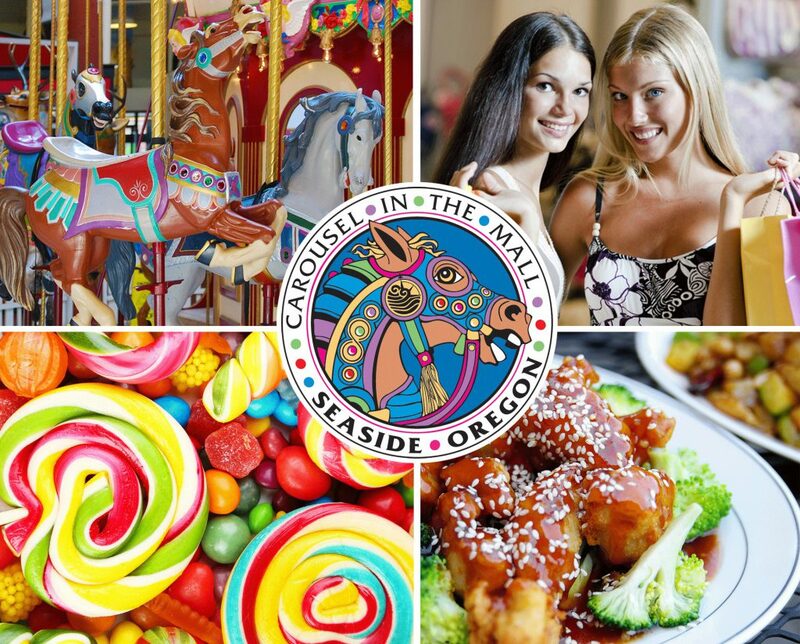 Welcome visitors to the Seaside Carousel Mall, a must stop for tourists and locals for shopping, family fun and food. Liquid sunshine? No problem! Check out all the fun things to do inside the Seaside Carousel Mall. NOW OPEN Laser Tag! A favorite shopping hot spot! Clothing, coats, hats, and toys in many styles and sizes, including children’s sizes. Fun T-shirts are a perfect way to remember your visit to Seaside. Find a cozy hoody to wear to the beach or campfire or add jeweled bling to your leathers! New Garden Asian Cuisine restaurant has 175 menu items to choose from for lunch and dinner. Family friendly prices and seating. Have a sweet tooth? Try taffy from Rascals or a blended “wave runner” coffee with whipped cream!